What do authentic Japanese sushi and cheap housing have in common within the GVRD? Well, not much other than both are harder to find than a fast moving lineup at Costco. One major problem an authentic sushi joint faces is that most people do not want authentic sushi and the accompanying price tag. Hence, we deserve the restaurants that we get since the whole point is to make money and to target as many people as possible (not the small minority of authentic-seeking foodies). 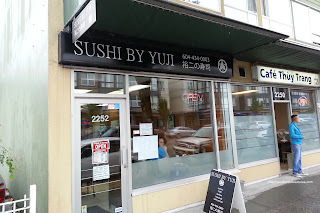 On that note, there is a new spot on Kingsway called Sushi by Yuji (much like Kazu in Burnaby, both are alumni of Shiro on Cambie). I met up with authentic sushi aficionado Vandelay for lunch at Sushi by Yuji where the menu is simple with very few cooked items. 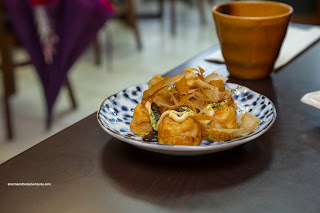 We did start with one though being the Takoyaki dressed in just the right amount of mayo and tonkatsu sauce. I found them soft and a bit doughy while the octopus was sufficiently tender with an appealing chew. Served in a small bowl, we dug into the Marinated Tuna with wasabi, soy, sesame seeds and sesame paste. The buttery tuna was a touch too cold, but the texture was on point. I liked how the marinade was impactful enough without overwhelming the delicate fish. There was an aromatic initial hit that blended into the wasabi finish. We moved onto the Assorted Sashimi consisting of sockeye salmon, albacore tuna, hamachi, ika and mackerel. Okay, this may sound like a simplistic and predictable description of the fish, but everything was fresh and noticeably flavourful. The inherent sweetness of the fish combined with the appropriate textures (as in soft, but still with buttery resistance) made for excellent sashimi. Next, we had the Sushi Combo which was served on 2 plates. The first one included 6 pieces of Nigiri (tako, halibut, hamachi, ika, salmon and tuna). Again, the fish was on point and attractively prepared. 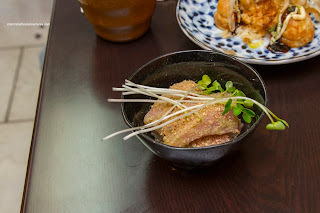 The sushi rice was also good with a glutinous chewiness accented by mild flavours. 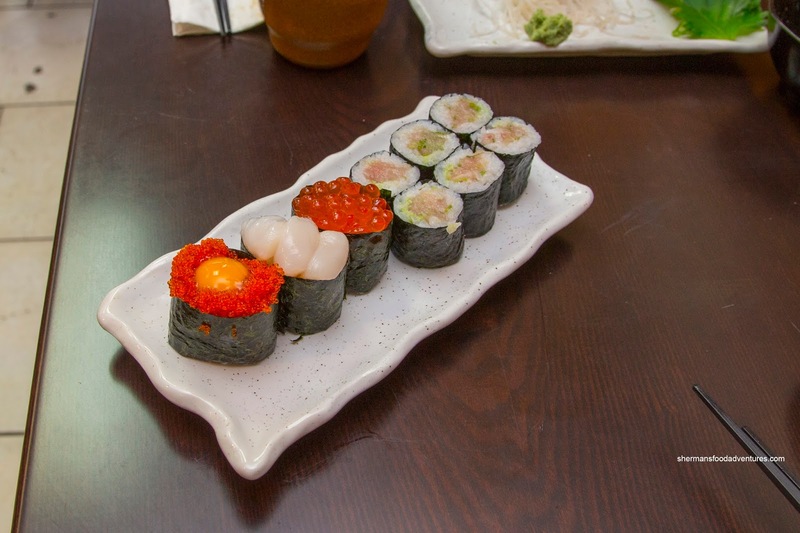 Arriving on the second plate was 3 pieces of nigiri (tobiko with quail's egg, hotate and ikura) and a Negitoro Roll. I enjoyed the tobiko and quail's egg nigiri as the silky egg contrasted the pop of the tobiko. As for the roll, it was neatly constructed with buttery and sweet tuna complimented by just the right amount of green onion. Now if it isn't obvious that I truly enjoyed the preparation and freshness of the sushi here, then you've been texting and reading at the same time. 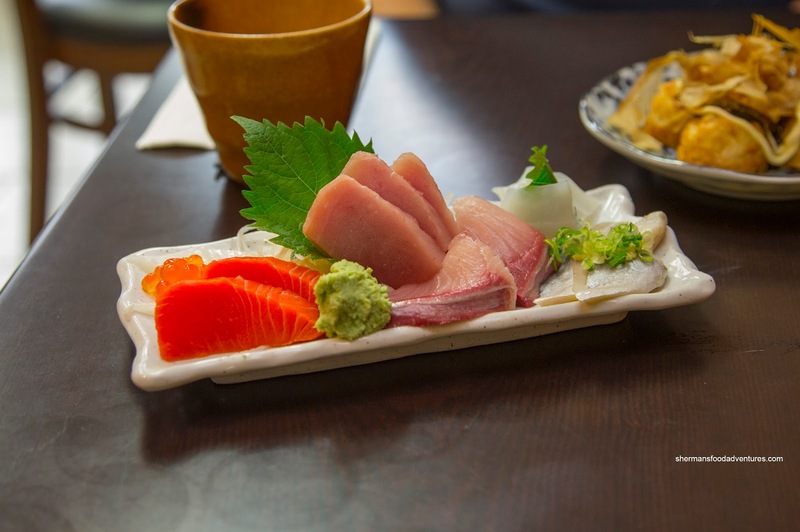 Yes, the sushi here is not cheap and for some, missing the bells and whistles. 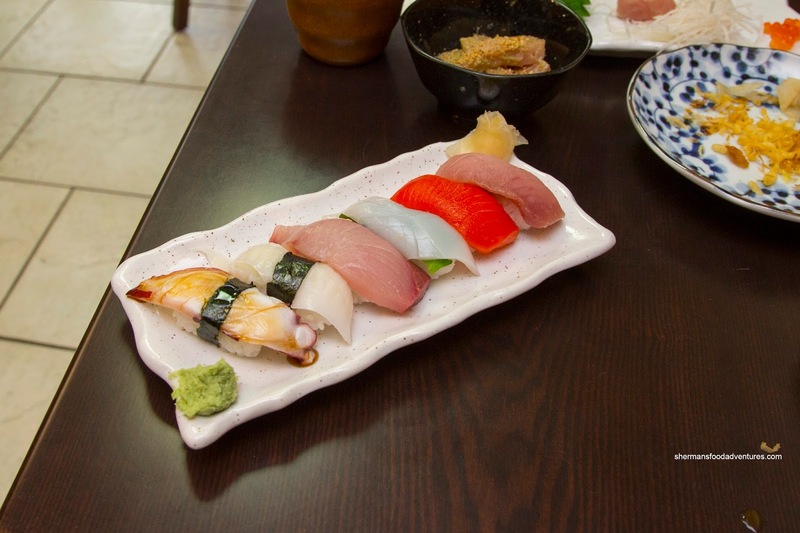 However, if you are craving authentic, well-made and quality sushi, Sushi by Yuji fits that description. I'm reading to see if I want to try this place! Nice review.